Our guide on starting a home rental business covers all the essential information to help you decide if this business is a good match for you. 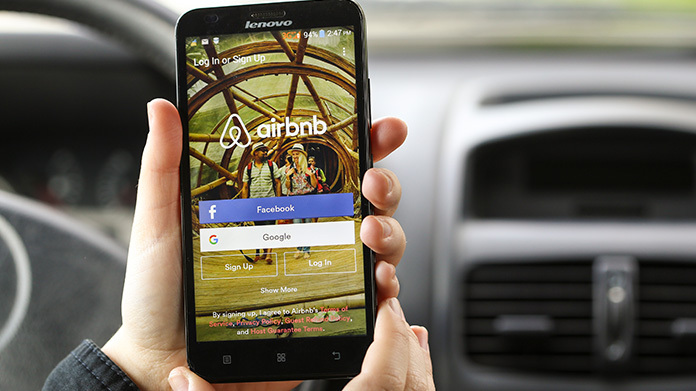 Learn about the day-to-day activities of a home rental business owner, the typical target market, growth potential, startup costs, legal considerations, and more! What happens during a typical day at a home rental business? Until you have accrued a great deal of property investments, the home rental business will typically not require your attention on a daily basis. In fact, many business owners choose to use this as their primary source of income, while working on part-time projects they are passionate about. Finding and screening tenants when one of your properties comes up for rent. 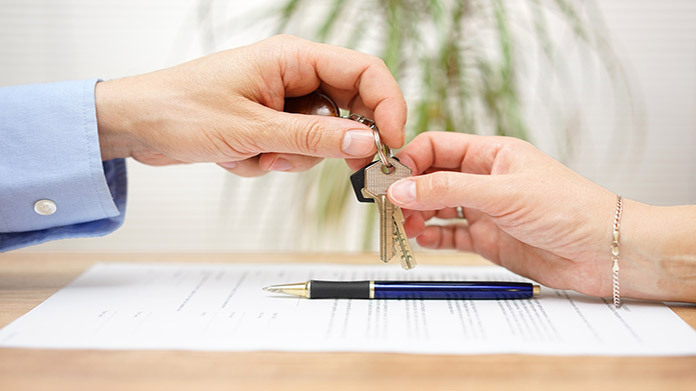 Having leases drawn up and signed by both you and your tenants. Managing properties, handling issues as they arise. Researching common repairs that are typical in rental properties and interview contractors, plumbers, and/or handymen, etc. that can handle problems you are unable to address yourself. Networking within the community would also prove beneficial. Many property owners choose to join local real estate investing associations. This can lead to potential business partners. Additionally, the contacts you make will prove invaluable in ensuring you are able to manage your property successfully and economically. When considering potential investments, consider your target market. Do you want to fill your portfolio with HUD housing or do you wish to target tenants in a different demographic? While both are positive investments, defining your demographics will ensure you purchase property that can yield your target returns. How does a home rental business make money? As a landlord, you will collect rent from each of your tenants on a monthly basis. This does not, however, guarantee that your investment will generate passive income. When determining your rental rates, carefully consider all ongoing expenses. Collecting rent higher than the property’s expenses will ensure an income each month. Entrepreneurs just starting out in this industry are urged to invest in properties that can generate a steady cash flow and to set money aside each month for unexpected expenses that will come up from time to time. The most significant income, however, comes from your long-term investment. The equity in each property will be a meaningful asset in your portfolio. A majority of rent collected will go towards your business’ profits and, when you so choose, you can sell the home at a higher price than your initial investment. What is the growth potential for a home rental business? This business venture offers significant opportunity for growth. While some landlords choose to stick to local investments, the only real limitations are available cash flow and your personal vision. Many entrepreneurs choose to expand their portfolio to include properties across the country, or even the world. When considering investment opportunities outside of your region, it’s important to conduct thorough research. Not all properties increase in value or offer enough rent to cover all expenses. What are some skills and experiences that will help you build a successful home rental business? Success in this business requires a certain set of skills. You must possess strong business acumen and understand the intricacies of real estate investment. Not all properties are created equal. If this is not a personal strength, consider seeking the advice of someone more knowledgeable on the subject. Being a landlord is not as easy as many make it sound. It is important that you treat it like a business. This means being financially frugal during the initial years, maintaining the property at all times, and making difficult decisions regarding tenants who are not fulfilling their lease responsibilities. A personable personality and the ability to make connections spanning a broad spectrum of people would also prove beneficial. Connecting with others will help keep your tenants around for years. It could prove beneficial when a property needs attention that is outside of your capabilities. New investors are urged to attend REIA meetings. A Landlord’s Association is also recommended. These groups will offer support and education throughout your journey. They also provide access to business tools such as lease contracts, tenant application forms, and credit search services. What are the costs involved in opening a home rental business? Financing for investment properties is very different from securing a personal home loan. 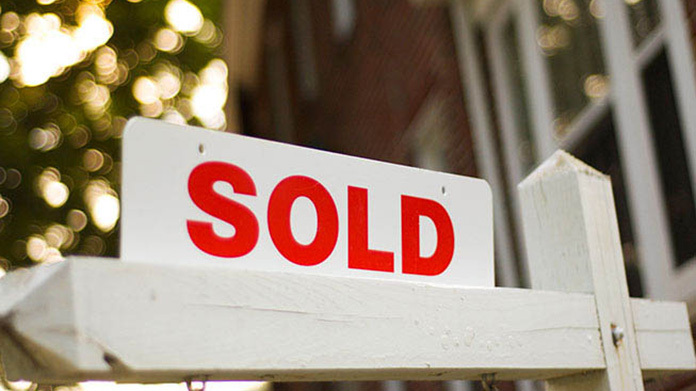 Rules change periodically, so make sure you understand the down payment required prior to making any major decisions. Under today’s financing, investors who own more than four rental properties are expected to put down 25%. 20% down is required for entrepreneurs who own less than four. If you have enough cash flow to pay for your investment in full, consider this decision carefully. Many investors recommend using this capital to purchase multiple properties. This should increase both your monthly income and long-term equity. Each rental property should have adequate insurance to protect both the property and your liability. A portion of your budget should also be set aside to make any necessary improvements and to maintain the property. What are the steps to start a home rental business? Form a legal entity. Establishing a legal business entity prevents you from being personally liable if your home rental business is sued. Open a business bank account. A dedicated checking account for your home rental business keeps your finances organized and makes your business appear more professional to your customers. What are some insider tips for jump starting a home rental business? Leave no stone unturned when writing your lease agreement. If it is not written down, tenants will find a way around your rules. Self management vs. hiring a property management company - They each have their own benefits and drawbacks. Property managers charge a monthly rate, cutting into your profits. Without their assistance, however, you are responsible for handling every issue that comes up. This can prove challenging, particularly if you own rental properties in other parts of the country. If you are considering hiring a property manager, Biggerpockets shares the critical questions you should ask prior to making a decision. Carefully consider your target demographic prior to investment. Ask yourself - Is this in a good neighborhood? What size homes are they looking to rent? What is their price point? Is a quiet street and/or a fenced in backyard important to them? Keep in mind that problems are guaranteed to come up. Don’t get caught off guard. Plan and save accordingly. Have a defined exit strategy. Do you want to maintain your investments until retirement or sell in ten years? Timelines can be adjusted, but it’s important to have a plan of action. 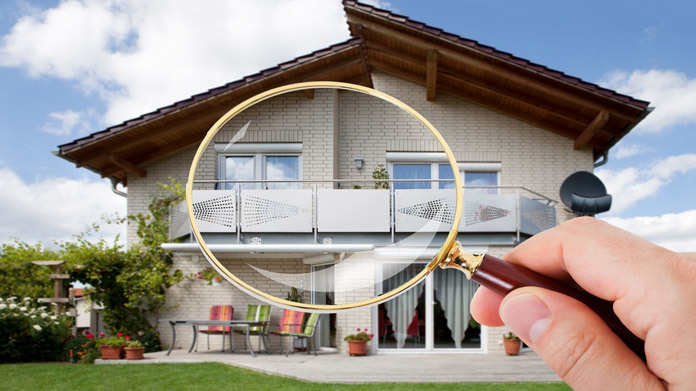 Conduct background checks on every potential tenant. When you find one that pays on time and maintains the property, do what you can to keep them, even if it means reducing your profits a small percentage. Remember, this is a business. Stick to the terms of the agreement. If you give tenants a little leeway, they will make it a habit to take as much as they can from you. Most cities across the United States have a real estate investment club. Networking with other members will prove invaluable. Most are willing to share the knowledge they have gained over years in the industry. This should include strategies regarding finding quality tenants. Marketing techniques vary based on demographics, but landlords have found success through: rental sites, newspaper ads, realtors, word of mouth, and social media. Tenant retention is the most effective way to maintain profits and avoid destruction of property. A thorough screening process is important. Once your tenant moves in, try to maintain a balanced relationship. Check in periodically, but give them their space. Avoid large increases in rent at lease renewal. Most importantly, when a renter calls about a complaint or issue, work to resolve the problem swiftly and at minimal inconvenience to them. As previously mentioned, building a team is a matter of personal preference. With the right skills, knowledge, and time, much of your business can be run without assistance. When physical issues, such as roof replacement, electrical work, or plumbing come up, you will want to consider hiring a professional to tackle the problem. Many property owners welcome the peace of mind that comes with having a management company maintain their rentals. Additionally, a financial advisor, attorney, and/or respected insurance agent could prove a valuable asset to your team. 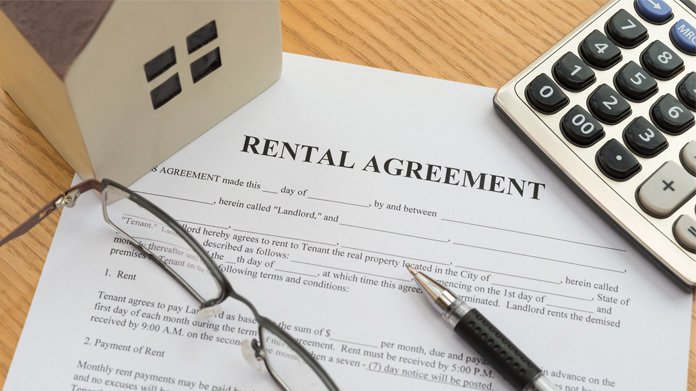 Certain state permits and licenses may be needed to operate a home rental business. Learn more about licensing requirements in your state by visiting SBA’s reference to state licenses and permits. If you grow your business to the point where you own multiple properties, it is likely your business will be run out of an office. Businesses operating out of a physical location typically require a Certificate of Occupancy (CO). A CO confirms that all building codes, zoning laws and government regulations have been met. Before leasing, confirm that your landlord has or can obtain a valid CO that is applicable to a home rental business. Review all building codes and zoning requirements for your business’ location to ensure your home rental business will be in compliance and able to obtain a CO. Rental fees vary based on location, the specifics of the property, and landlord costs. When setting your rates, carefully consider all costs. What are the ongoing expenses for a home rental business? There are a number of expenses associated with a home rental business. Seek guidance from other professionals in the community or organizations such as the Institute of Real Estate Management when setting a budget and rental rates. Some landlords absorb the cost of lawn maintenance, while others require their tenants to cover these costs. How much profit can a home rental business make? Profit is directly tied to the number of properties you own, loan amounts, ongoing expenses, and the amount of rent you charge. A professional accountant should be able to assist you in determining your rate of return on investment prior to purchasing. The most obvious way to increase your profits is to invest in as much quality property as possible. Investors are urged to minimize costs and pay off loans as quickly as possible. Many business owners opt to partner with another investor, significantly reducing expenses and responsibilities.